I also met up with Frontlinegamer – always good to put a face to a name. This entry was posted in Events, Tabletop gaming. Bookmark the permalink. Well it’s my birthday very soon, and my wife was just telling me she never knows what to get me for Christmas either, so you never know. I have also been looking at pirate models a bit since I got back, not all of which were quite as I remembered. Anyway, the new and shiny Ainsty ships are ever so tempting. Not quite as you remembered in a good way… or in a bad way? I agree those ships do look ace and a pirate port board is such a very tempting hobby project. All the way home on the train I was thinking about which Monkey Island scene I’d like to recreate… it has to be Melee Island I think. You never know what tomorrow will bring. 🙂 They are very nice ships indeed. Jealous these events look like such fun. I thought they had conventions all over the place, not just in my back yard. Granted they may be more or less frequent, but surely there are some. In either case, I’m happy to bring you some pics of nice looking games and cool new toys. More of which later. Yeah I think it was the sun and Derby’s excellent town planning that made everyone so happy!!! Everyone did seem in a really good mood and it was quite a chilled environment. Also I think I might have worked out what that weird plastic space goblin thingy was… it was the Gretchin servant from Space Crusade. Sorry but it was bugging me all the way home!!! Ah. Obscuro. I only ever had an incomplete second hand copy of Space Crusade and it was missing him. I don’t feel deprived. 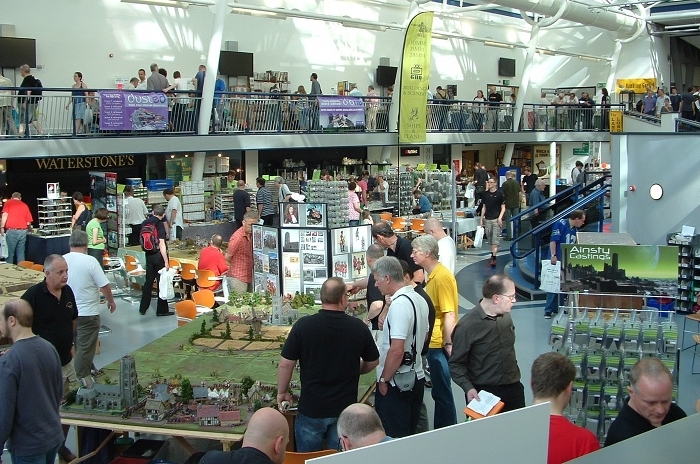 We get tournaments and the occasional train show nothing like the epic ECW displays or the War of the Rose. 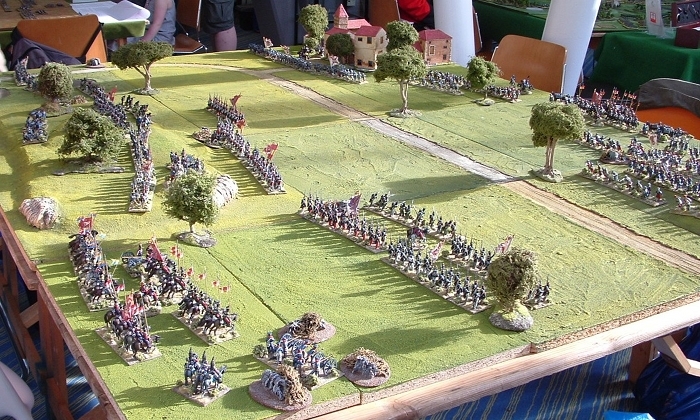 The historic wars of our neck of the woods notoriously difficulty to model and game. We live at the arse end of the world NZ. But you have great landscape and water to stage nice seabattles ;).